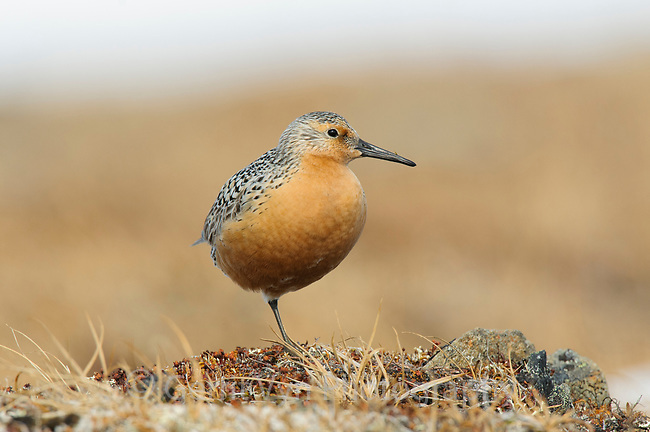 Adult Red Knot (Calidris canutus) in alernate (breeding plumage) near its nest. Seward Peninsula, Alaska. June.